TDLR Approved Texas Parent Taught Drivers Ed course includes online classroom and behind the wheel instruction. Everything your teen needs to get their Texas learners permit and drivers license. 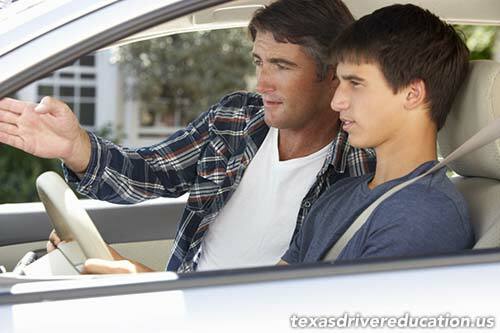 In the State of Texas, parents have the option of enrolling their teen student in a traditional driving school, using high school based driver education (rare), or using the Parent Taught method approved by the Texas Department of Licensing and Regulation (TDLR). Texas Parent Taught Drivers Ed (PTDE) is an affordable option to a traditional driving school and includes the same instruction. 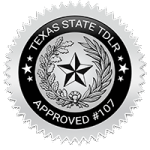 Our Course #107, is approved by the State of Texas and TDLR and includes 32 hours of interactive online training where students can log into and out of the course as their schedule permits. Additionally, our course includes print outs for parents that include 44 hours of behind-the-wheel driver training. Teens between the ages of 14 and 17 years of age are eligible to enroll in Texas Parent Taught Drivers Education. Teen students must be at least 15 years of age in order to receive their Texas learners permit, so students enrolling at 14 years of age can only work on the online classroom part of the course. Enroll in a trusted State Approved Parent Taught Drivers Ed course. Print and complete form DL-92 and send to the Texas Department of Licensing and Regulation (TDLR) to receive approval and your Texas Parent Taught Driver Ed packet. Begin the online classroom training and complete the first six hours of the course. After the first six hours of the Parent Taught course and being at least 15 years of age, take the DPS written test. After passing the DPS exam (and usually on the same day), apply for Texas learners permit at your local DPS office. 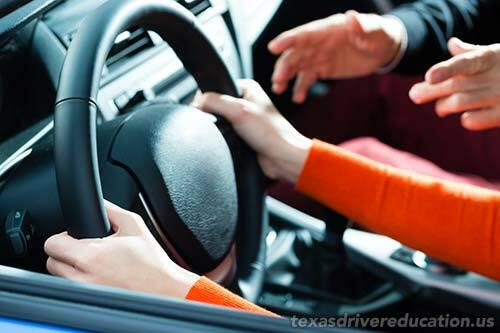 After receiving their Texas learners permit, students can begin the in-car lessons with the designated parent instructor. Complete online and behind-the-wheel which cover all Parent Taught Drivers Ed Texas Requirements. Receive Texas Driver Education Certificate (DE-964). Having held their Texas learners permit or at least six months and being at least the age of 16, apply for Texas provisional drivers license. How long does it take to do Parent Paught Drivers Ed? The course includes 32 hours of online instruction and 44 hours of behind the wheel instruction. The State of Texas limits instruction to no more than two hours per day for the online instruction and one hour per day for behind the wheel training. 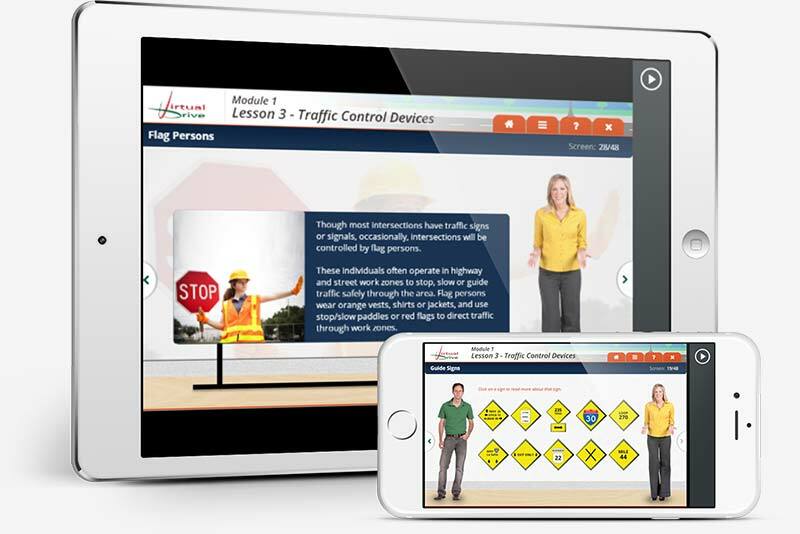 The Parent Taught Drivers Ed course is self-paced and there are no set course schedules. In a traditional driving school, the schedule is strict and requires parents to drop off and pick up their student every day. This can be quite challenging in families where both parents work, or single parent families. Most students complete the Texas Parent Taught Drivers Ed course in three to six months. It can be completed in as little as two months with persistent effort. Traditional driving schools can be very expensive because they use real-time instructors, both classroom and behind the wheel training. Parent Taught Drivers Ed is a fraction of the cost of a Texas driving school. Parent taught is self-paced. Students with active lifestyles that include extra-curricular activities have the advantage of being able to work on the course as their time permits. Most parents setup a weekly schedule for in-car instruction. A few days during the week, after work, and one or two days on the weekend. The key here is, that there is no set schedule. It’s completely flexible to the teen and parent’s time availability. Your teen deserves the best Parent Taught Drivers Ed course. Our Course #107 is approved by the State of Texas and includes everything your student needs to get their Texas learners permit and drivers license. Effective training with proven results where safety is first. You’re in good hands, let’s get started today! After enrolling, please revisit this page and click on any of the social media buttons below to let your friends and family know that you have begun your journey to getting your Texas drivers license. Your friends and family will be excited for you and give you encouragement during the course!